Editor’s Note: On April 29th, 2014, the National Academy of Sciences announced the new electees to the prestigious organization. This was an especially happy occasion for everyone here at IQIM, since the new members included our very own John Preskill, Richard P. Feynman Professor of Theoretical Physics and regular blogger on this site. A request was sent to Leonard Susskind, a close friend and collaborator of John’s, to take a trip down memory lane and give the rest of us a glimpse of some of John’s early contributions to Physics. John, congratulations from all of us here at IQIM. 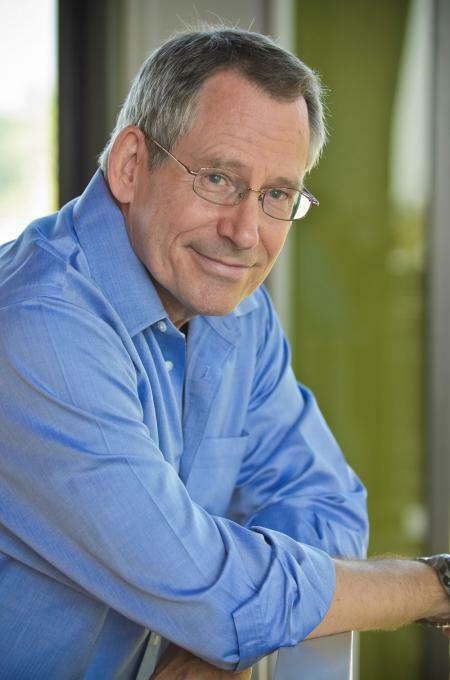 John Preskill was elected to the National Academy of Sciences, an event long overdue. Perhaps it took longer than it should have because there is no way to pigeon-hole him; he is a theoretical physicist, and that’s all there is to it. John has long been one of my heroes in theoretical physics. There is something very special about his work. It has exceptional clarity, it has vision, it has integrity—you can count on it. And sometimes it has another property: it can surprise. The first time I heard his name come up, sometime around 1979, I was not only surprised; I was dismayed. A student whose name I had never heard of, had uncovered a serious clash between two things, both of which I deeply wanted to believe in. One was the Big-Bang theory and the other was the discovery of grand unified particle theories. Unification led to the extraordinary prediction that Dirac’s magnetic monopoles must exist, at least in principle. The Big-Bang theory said they must exist in fact. The extreme conditions at the beginning of the universe were exactly what was needed to create loads of monopoles; so many that they would flood the universe with too much mass. John, the unknown graduate student, did a masterful analysis. It left no doubt that something had to give. Cosmology gave. About a year later, inflationary cosmology was discovered by Guth who was in part motivated by Preskill’s monopole puzzle. John’s subsequent career as a particle physicist was marked by a number of important insights which often had that surprising quality. The cosmology of the invisible axion was one. Others had to do with very subtle and counterintuitive features of quantum field theory, like the existence of “Alice strings”. In the very distant past, Roger Penrose and I had a peculiar conversation about possible generalizations of the Aharonov-Bohm effect. We speculated on all sorts of things that might happen when something is transported around a string. I think it was Roger who got excited about the possibilities that might result if a topological defect could change gender. Alice strings were not quite that exotic, only electric charge flips, but nevertheless it was very surprising. At that time no one knew the answer to the paradox, although a few of us, including John, thought the answer was that information could not be lost. But almost no one saw the future as clearly as John did. Our paths crossed in 1993 in a very exciting discussion about black holes and information. We were both thinking about the same thing, now called black hole complementarity. We were concerned about quantum cloning if information is carried by Hawking radiation. We thought we knew the answer: it takes too long to retrieve the information to then be able to jump into the black hole and discover the clone. This is probably true, but at that time we had no idea how close a call this might be. It took until 2007 to properly formulate the problem. Patrick Hayden and John Preskill utterly surprised me, and probably everyone else who had been thinking about black holes, with their now-famous paper “Black Holes as Mirrors.” In a sense, this paper started a revolution in applying the powerful methods of quantum information theory to black holes. We live in the age of entanglement. From quantum computing to condensed matter theory, to quantum gravity, entanglement is the new watchword. Preskill was in the vanguard of this revolution, but he was also the teacher who made the new concepts available to physicists like myself. We can now speak about entanglement, error correction, fault tolerance, tensor networks and more. The Preskill lectures were the indispensable source of knowledge and insight for us. Congratulations John. And congratulations NAS. This entry was posted in News, Reflections and tagged black holes, John Preskill, Leonard Susskind, monopoles, Quantum entanglement by spiros. Bookmark the permalink. Congratulations John! Very well deserved and long overdue. Well-deserved indeed … and we all look forward to more Preskill-style outstanding research to come. Congratulations! Ooh, thank you especially: I’d been wanting to know more about the time it takes for information to leak out of black holes and this covers things as exactly as I could hope. Congratulations Professor Preskill. You thoroughly deserve it. Being an MD, though I can hardly grasp the exact concepts behind everything in Modern Physics but it is fascinating me beyond belief. I was always interested in Physics but did my MD and will now be applying for a residency match in US hopefully. I am a big fan of yours from Pakistan and recently listened to the first recorded statistical mechanics lecture of yours. Totally planning on starting reading Physics from scratch with a background A levels knowledge. Professor Susskind’s modern courses on net will hopefully help too. Anyways, congratulations again. Awesome.